June 1, 2010, 10 a.m.
Parsing Panera: Could a name-your-own-price model work for news? By Megan Garber @megangarber June 1, 2010, 10 a.m. The former CEO of Panera Bread recently announced an intriguing experiment: The chain’s store in Clayton, Missouri is doing away with prices. The Clayton franchise, now run as a nonprofit restaurant and renamed the “Saint Louis Bread Company Cares Cafe,” offers the same products as typical Panera stores, the same baked goods and soups and salads. Instead of assigning a monetary value to the products, though, the store leaves it to customers to decide what they’ll pay. “Take what you need, leave your fair share,” reads a sign above the store’s counter. Name-your-own-price schemes like this aren’t new; often, they don’t work. (“If you use a PWYW scheme too liberally, you are courting financial disaster,” the economist Stephen Dubner points out. “Just imagine if Tiffany & Co. held a PWYW day on all diamond jewelry.”) But sometimes — under the right circumstances — the approach can be quite effective. 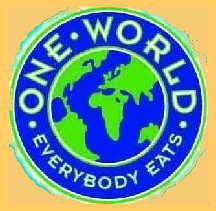 At One World Everybody Eats, a community kitchen in Salt Lake City, Denise Cerreta runs an analog service to the Panera experiment: Instead of pricing the meals One World serves, she asks customers to pay what they can — and, she told me, “to pay it forward when they can.” She’s doing something right, it seems: One World’s been in business for seven years. Which brings me to the question you’ve seen coming, but one I’ll come out and ask anyway, as a thought experiment if nothing more: Could the Panera payment model work for news? First of all, there’s plenty of evidence to suggest that it couldn’t. Carta, the German public-affairs publication, is currently the highest-grossing participant on the donation-facilitator site Kachingle. Carta’s current yield from Kachingler donations is $198.27 — from a total of 65 people. Oof. Membership drives both journalistic and otherwise tend to suggest specific notation amounts for a reason: We like prices. Or, more specifically, we’re conditioned to expect them. But what if our expectations changed? What if news outlets built into their online interfaces a more structured, and systematic, request for content compensation? Take, again, One World. One of the reasons Cerreta’s effort works is that, at the cafe, consumer behavior is monitored: The kitchen has built into its physical layout what Cerreta calls a “point of accountability” — a point at which, moving through the consumption-to-satisfaction continuum, consumers know that this is the moment they’re expected to compensate the kitchen for what they’ve (literally) consumed. In One World’s case, the accountability point is a simple donation box. One that is situated — explicitly, purposely, unavoidably — in public. And that makes a big — and perhaps all the — difference. (Recall the “Big Brother Eyes” experiment from a few years ago.) Which means that, when the accountability is negotiated in private — when there is only, as in the case of online news, the glare of the computer screen to cast light on our shoulders’ angels and devils — our willingness to drop dollars in the donation box certainly becomes a more open question. But, then, what if we took a looser approach to publicness — what if we translated Cerreta’s physical accountability point to the ephemeral interactions of the web? Even if we citizens need a little push to behave in private with as much civic sensibility as we would in public, there’s nothing to say that news outlets can’t provide — or, at least, experiment with providing — that push. It would simply be a matter of building the push into the structure, and patterns, of consumption. Of creating, to modify Cass Sunstein’s phrase, an architecture of accountability. Step one would be re-framing the terms of the transaction when it comes to compensating news providers for the content they provide: from fee (obligatory, and therefore purely economic) to donation (optional, and therefore suggestive of social good). It’s a semantic shift, certainly; but it could be a psychological one, as well. Take the work of Edward Deci. In a series of experiments in the 1970s, the social psychologist examined the behavior of two groups of subjects: One was asked to solve a puzzle; the other was told it would be paid for solving the same puzzle. Those who worked for what Deci called the “intrinsic” reward of solving the puzzle — the simple satisfaction of a job well done — were, he found, more successful in finding solutions than those who were paid. Payment functioned, ironically, as a disincentive. Deci was studying the motivation to work, rather than the motivation to pay; still, his overall finding (officially, that “contingent monetary rewards actually reduced intrinsic task motivation”) is illustrative. Introducing the concreteness of payment into an otherwise more ephemeral exchange can sometimes discourage action, rather than encouraging it; assigning monetary value to goods and experiences has a way of confining — and even negating — their broader value. Pricing is practical, of course, and, for the most part, entirely necessary. Still, we prefer to think of ourselves as motivated by something other than — something more than — rote obligation. And price tags, general necessity notwithstanding, tend to rob us of our altruism. What Deci’s findings suggest for news is that, paradoxically, “It’d be nice if you paid” could actually be more incentivizing for consumers than the more blunt, and more transactional, “You have to pay.” Paywalls are one thing; pay doors, if you will — come on in! have a bite! pay what you think is fair! — are another. Permeability suggests trust; expectations of good behavior have a way of encouraging good behavior. Broken windows, in reverse. Again, though, publicness (read: public accountability) is key; roughly the same number of people who want to be good citizens want to be recognized for being good citizens. Every year, I receive a series of emails from my college (usually featuring a slick little slideshow: “Campus in the Fall,” “Campus in the Spring,” “Campus in the Summer, with Children and Puppies and Rainbows”) asking for contributions to its Annual Giving drive. And it usually takes several of those emails before I actually make my donation. It’s not that I don’t want, or for that matter intend, to give back; it’s just that the give-back ask lacks urgency. The payment isn’t a demand; it’s a request. It doesn’t have to be paid now; it can be paid whenever. And that decelerates the dynamic of the transaction. One of the most recent emails I received, though, tapped into something other than nostalgia: It featured a long list of donors from my class — ostensibly, as a way of thanking them for their contributions by way of public acknowledgment…but also, of course, as a way of highlighting those who hadn’t yet contributed. The loud, empty space between ‘Ganson’ and ‘Geannette,’ I have to say, made for an excellent disincentive against future dallying. Suddenly, the urgency was implicit. The Alumni Giving staff, in other words, built into their donation request a point of accountability. Not a virtual cash register, a “pay now, or you won’t get the goods you want” approach — an impossibility for donation-seekers who sell not goods but potential good — but a more subtle (and, yet, just as impactful) message: “pay now, or everyone will know you haven’t paid.” Social capital is an economic good as much as a civic one; the AG donation-seekers wove that fact into their email so implicitly that their request suddenly bore the semblance of demand. By highlighting the social, rather than the monetary, aspect of their appeal, they conveyed the fact that they meant business. Literally. When it comes to the problem of monetization, we sometimes to fall into the trap of equating “pay model” with “pay wall.” We assume that news is a straight commodity, and that the cash register model is therefore the only viable option for monetizing it. (“We’re not NPR, after all.”) But the commodity-focused approach ignores the social aspects of media economics. Particularly online, with the web’s built-in mechanisms of mutuality, news is a social good as much as (and perhaps even more than) a product to be bought and sold. It is also an experience good — something that needs to be consumed before its value can be accurately determined. A tip-based model — which combines reward for a job well done with the social prestige of being generous enough to leave a tip in the first place — actually makes more sense than a paywall, which is necessarily predictive in nature. Cerreta’s name-your-own-price experiment, and my Alumni Giving’s public-accountability approach — not to mention the experience of, yes, many a public media membership drive — suggest the raw potential of a request-oriented, rather than a demand-oriented, approach to the pay-for-news problem. They hint at what might happen when we bring a little humanity to paid content’s practical, yet wholly impersonal, business proposition. Most of us, after all, are much happier to make donations than to pay bills. Even if the checks we write are for the same amount. That’s not to say that reframing the terms of transaction is a broad answer to the seeping problem of content monetization; “no silver bullets” has become a common refrain for a good reason. (Plus, as Laura Walker, president and CEO of WNYC, told me in a conversation about PWYW’s scalability, “I think there is a much stronger pull toward supporting an organization that is not supported by advertising — that is not there to deliver an audience to advertisers — but is there because of a mission. I think that’s why people value us.”) It is to say, though, that it may be worth widening the scope of consideration when it comes to how we think about payment structures in the first place. The many experiments we’re seeing with social media right now — HuffPo’s implementation of recognition for committed community members, Gawker’s star commenter system, Spot.us‘s and Kickstarter‘s public donor lists, Foursquare‘s merit-badge framework — leverage users’ cultural connection to the news — and their desire to be recognized for, essentially, good citizenship within the cultures news systems create. What would happen if those same motivations were employed in the service of monetizing online news? What would happen if we shift our focus from transactions to exchanges? Kachingle may not have revolutionized online payment structures; then again, its digital tip jar is a rare presence on websites. But what if The New York Times — or The Washington Post, or The Huffington Post — had its own kind of Kachingle? What if it also had a badge-like way of praising, publicly, the people who had financially supported its services? What if, instead of erecting a paywall, it built its site on an architecture of altruism? It’d be an experiment, certainly. An experiment that well might fail. Still, though: I’d love to see what would happen if we broaden our notion of what a viable pay model could be. POSTED June 1, 2010, 10 a.m.
Garber, Megan. "Parsing Panera: Could a name-your-own-price model work for news?." Nieman Journalism Lab. Nieman Foundation for Journalism at Harvard, 1 Jun. 2010. Web. 19 Apr. 2019. Garber, Megan. "Parsing Panera: Could a name-your-own-price model work for news?." Nieman Journalism Lab. Last modified June 1, 2010. Accessed April 19, 2019. https://www.niemanlab.org/2010/06/parsing-panera-could-a-name-your-own-price-model-work-for-news/. | title = Parsing Panera: Could a name-your-own-price model work for news?